I finally have a bridal tutorial up! I plan on doing a series of different looks...today I started out with a classic, fresh faced tutorial. These are all very natural, bridal type shades which would look timeless decades from now. 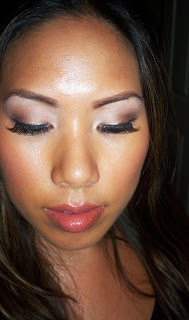 I also plan on doing a vintage bridal makeup tutorial and maybe a smokey eye bride look. 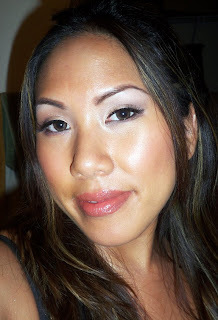 Today I featured one of my favorite brands, Steelo Cosmetics. When I do a tutorial, a lot of times I like to use all products from a certain brand...they always go well together and it keeps things simple to follow. this is a very pretty bridal look! Mahal this is beautiful and love the gangster pose too. Great tips for the very special day of life.It is important to get the right look that day. I like the face you're making. haha.